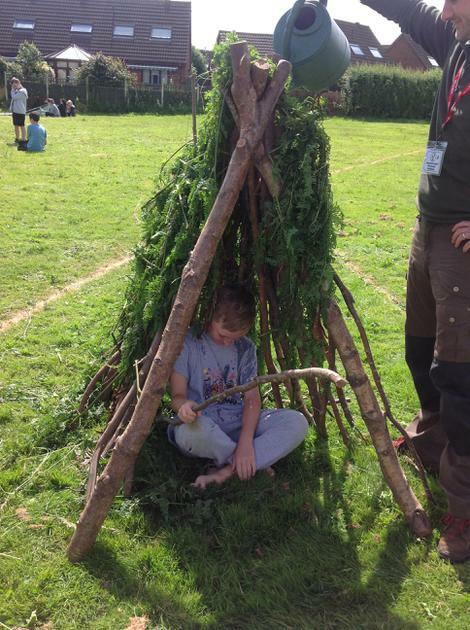 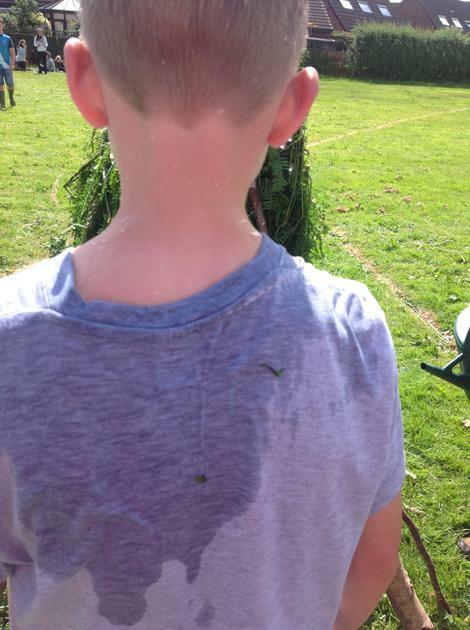 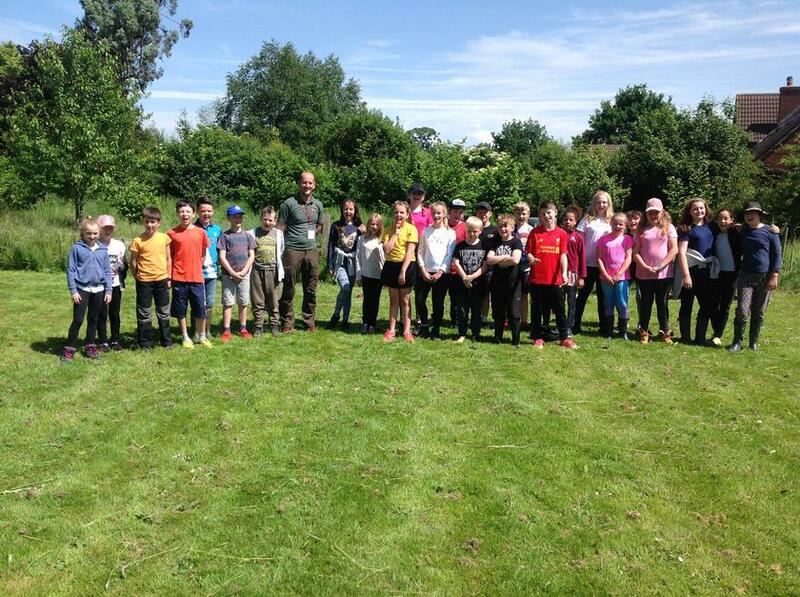 Class 4 experienced another fantastic session with Ben at Forest School. 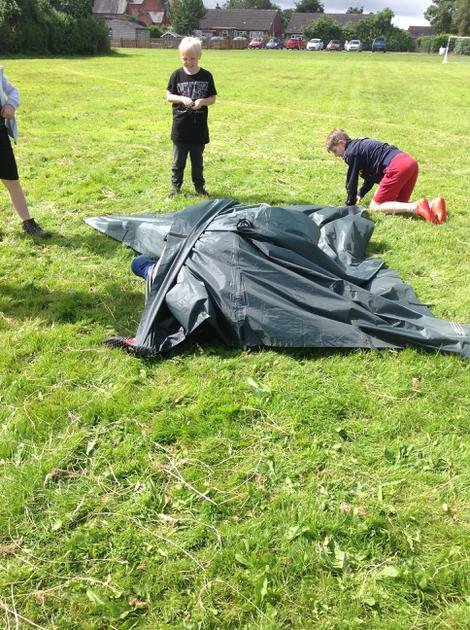 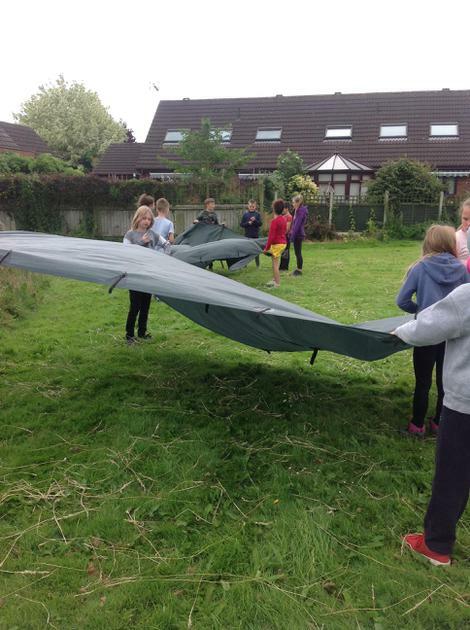 This week we were challenged to make a shelter and test if it was waterproof! 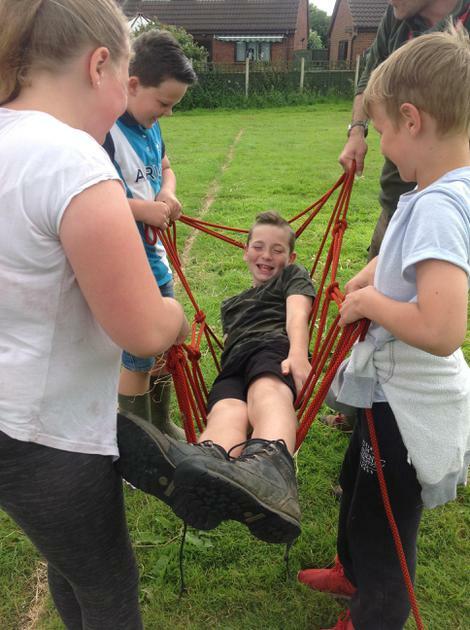 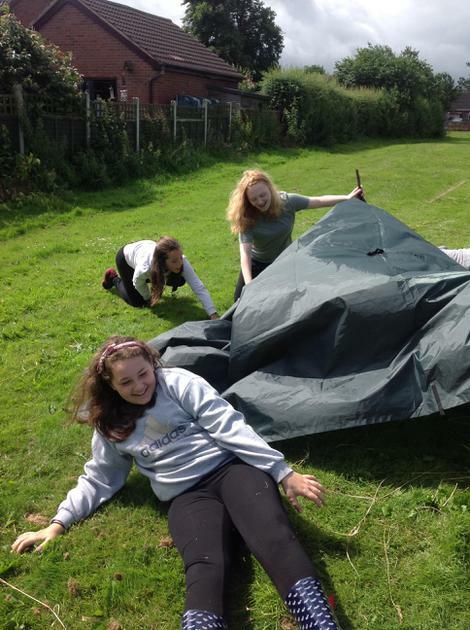 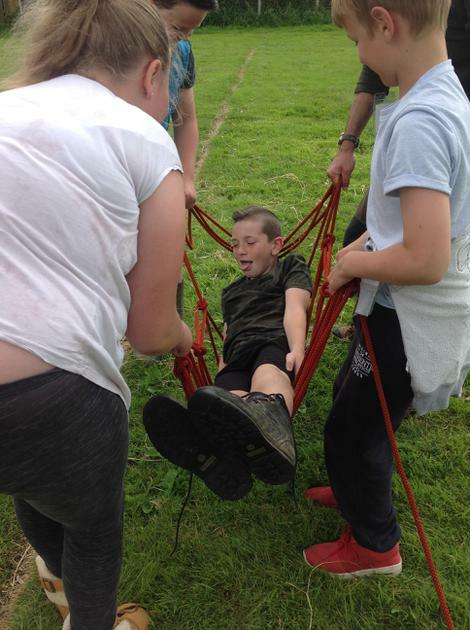 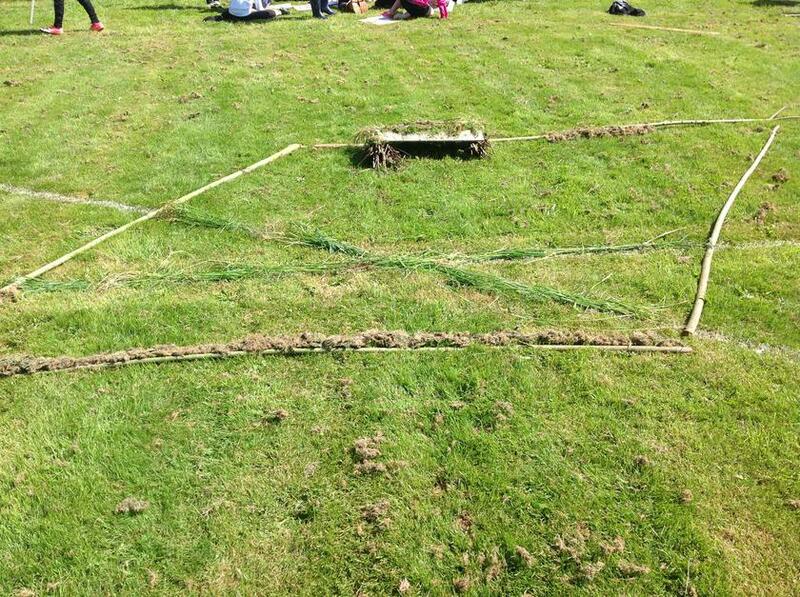 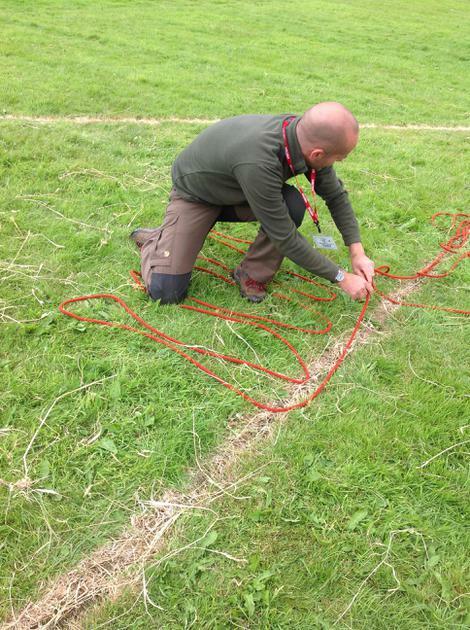 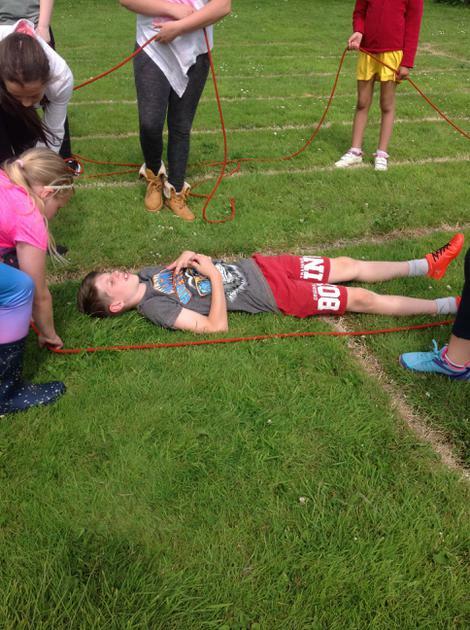 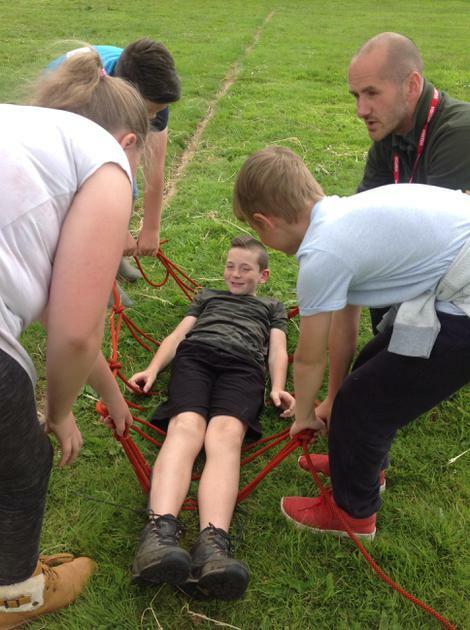 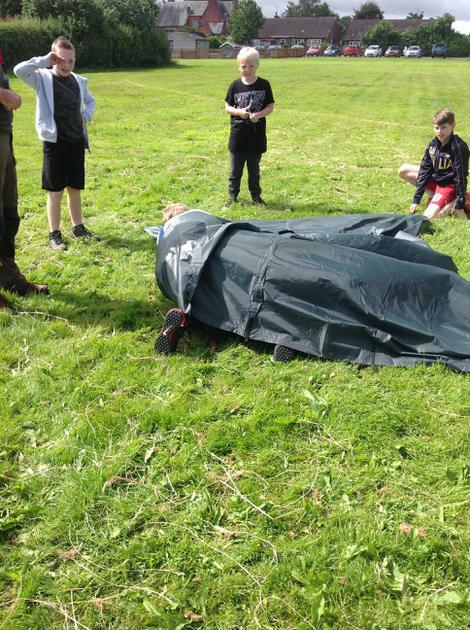 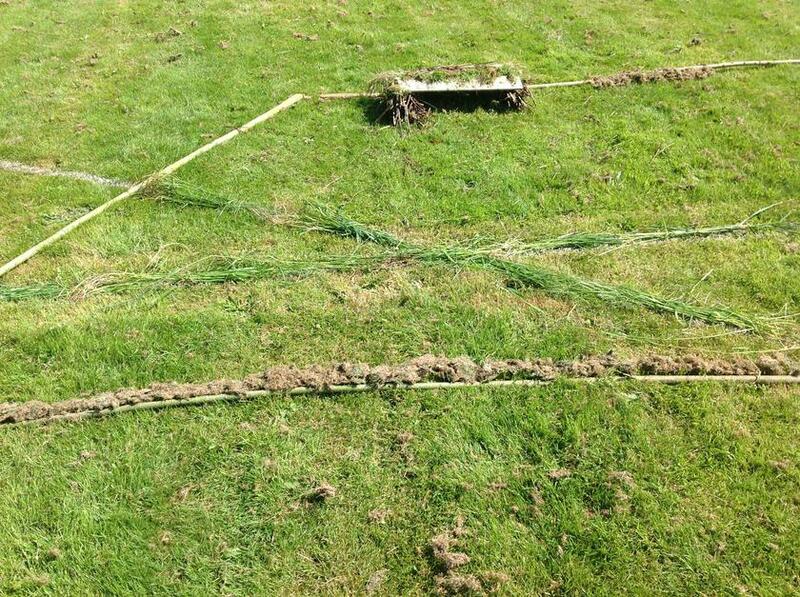 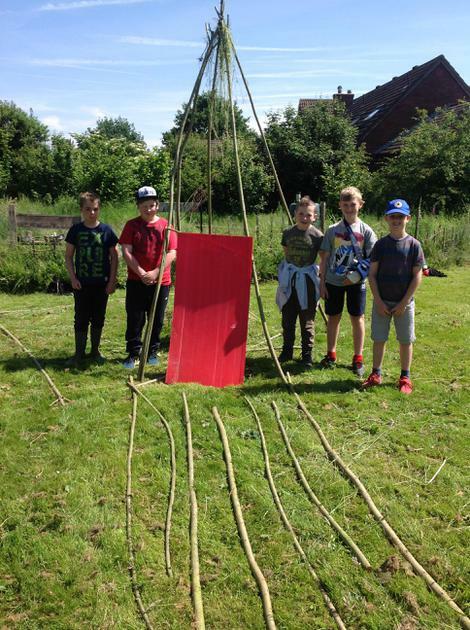 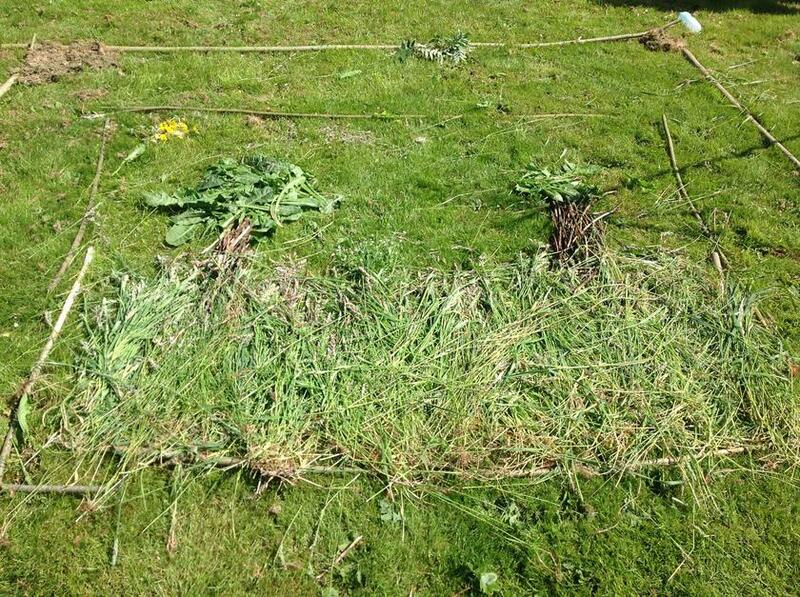 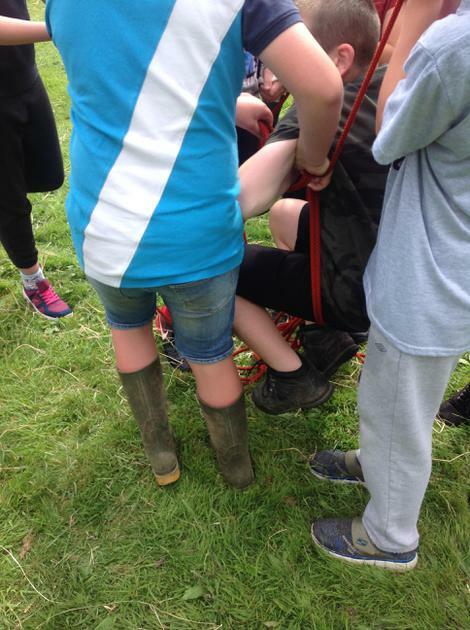 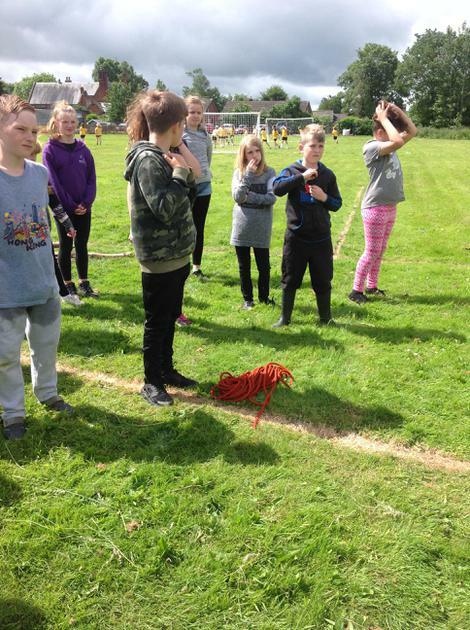 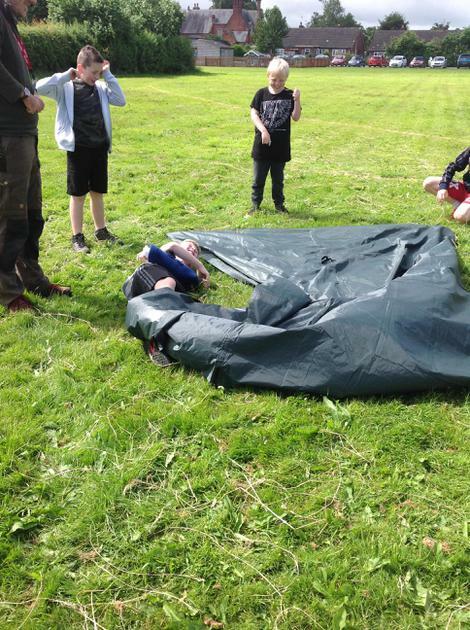 We also tried to make a stretcher but our only resource was a rope. 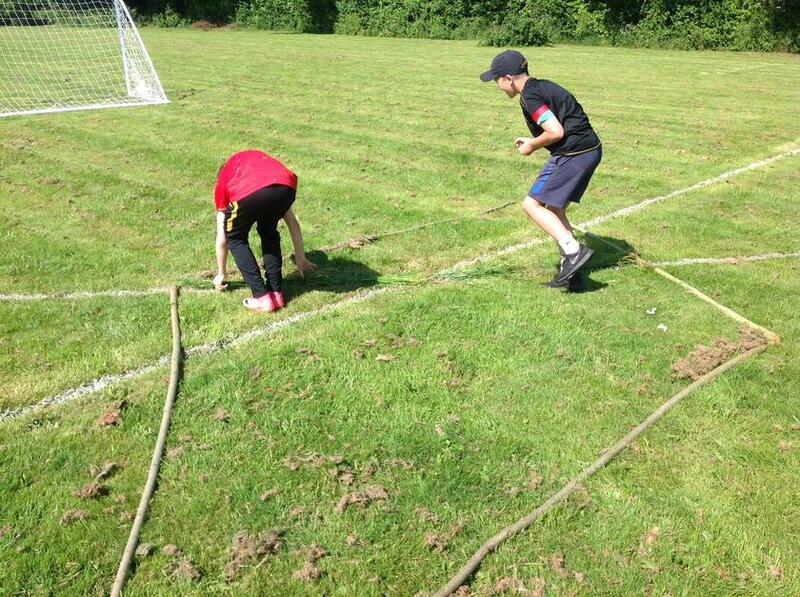 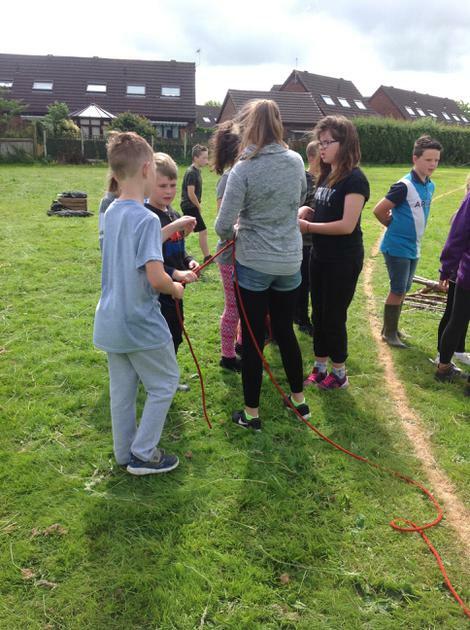 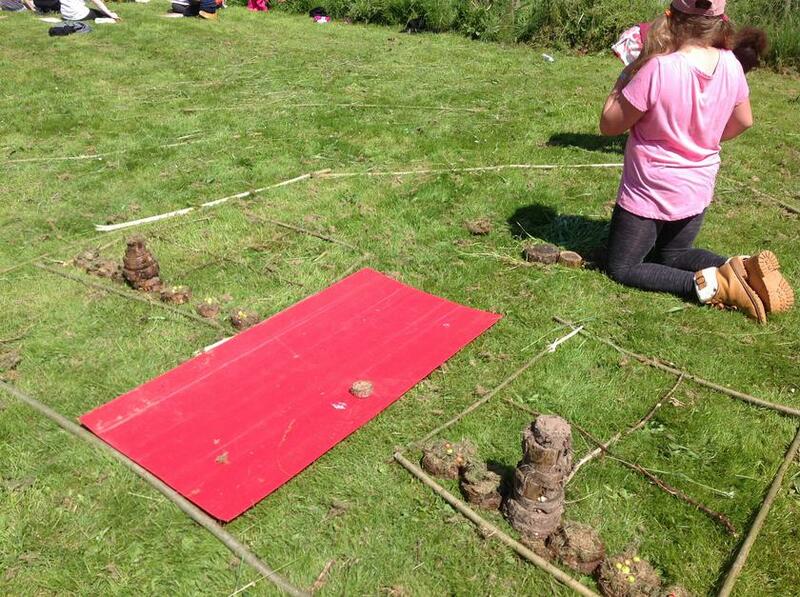 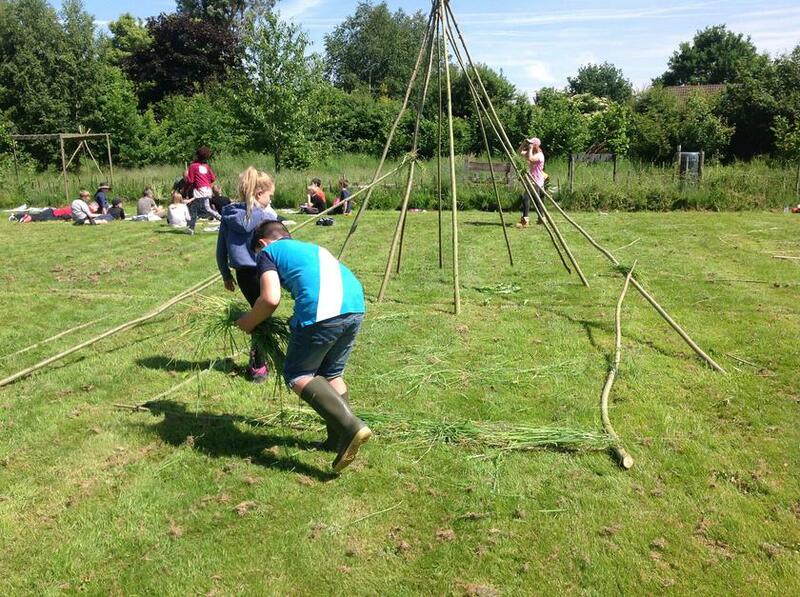 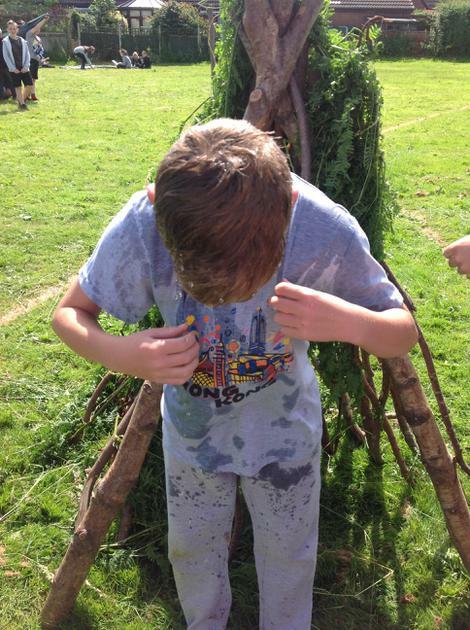 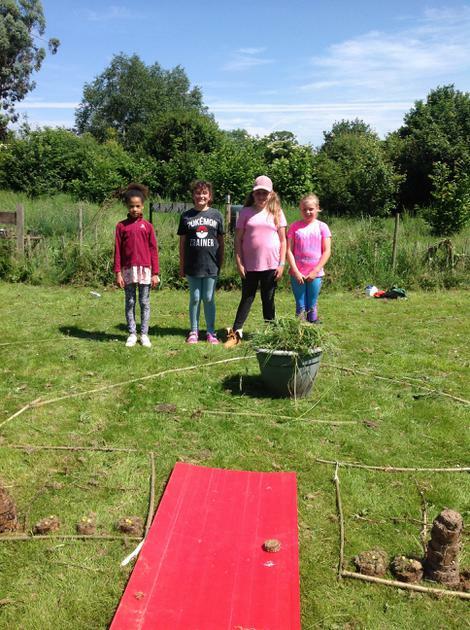 The children rose to the challenge and demonstrated some fantastic team work. 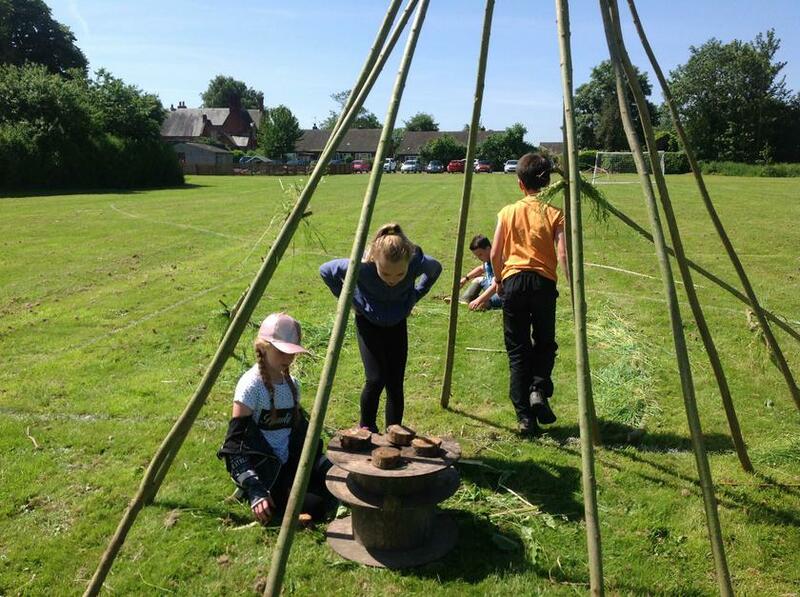 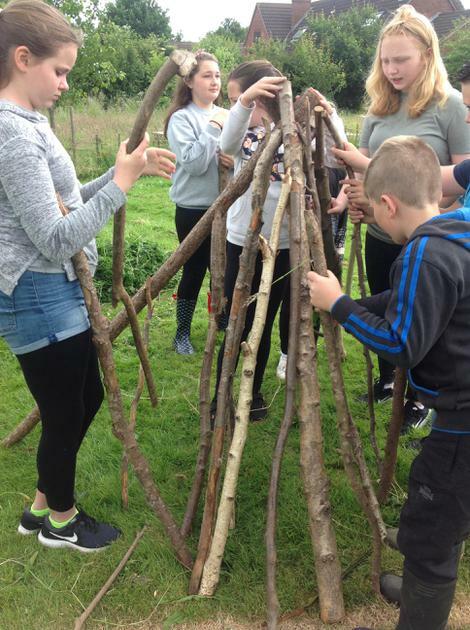 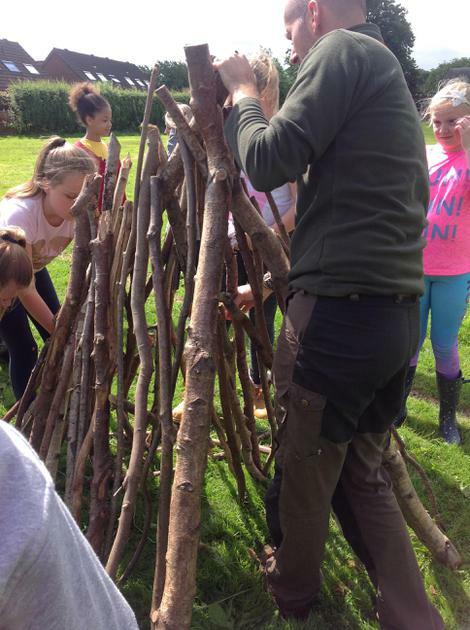 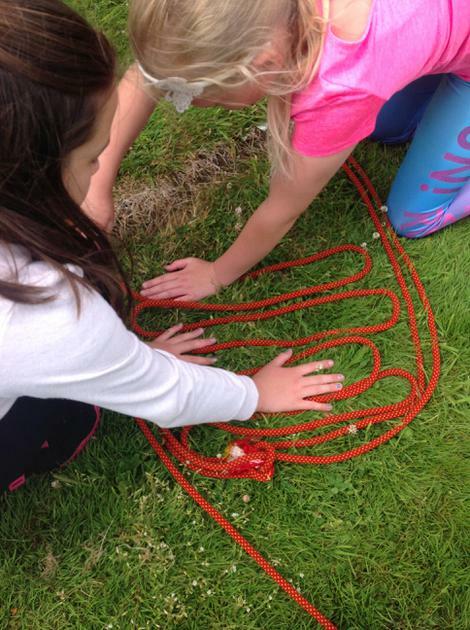 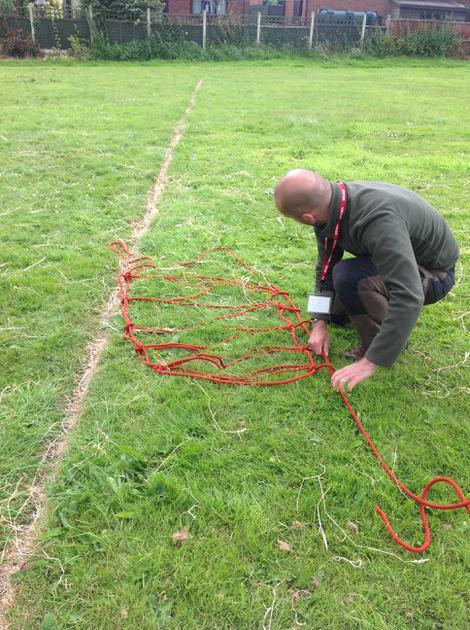 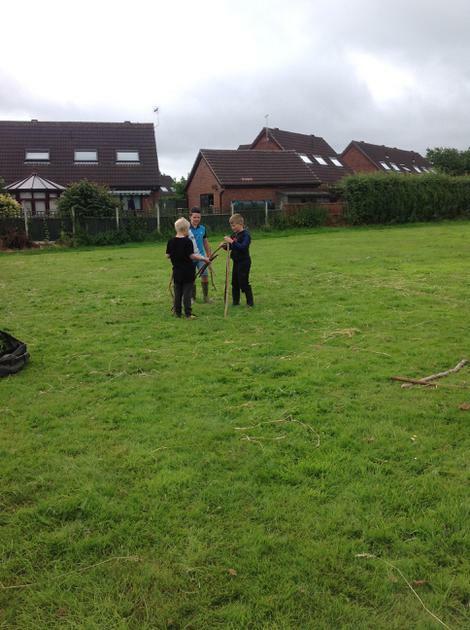 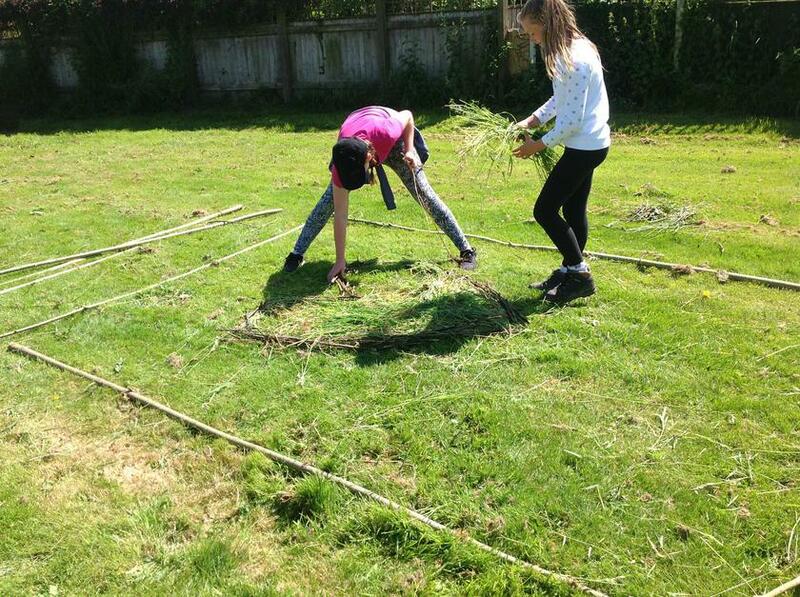 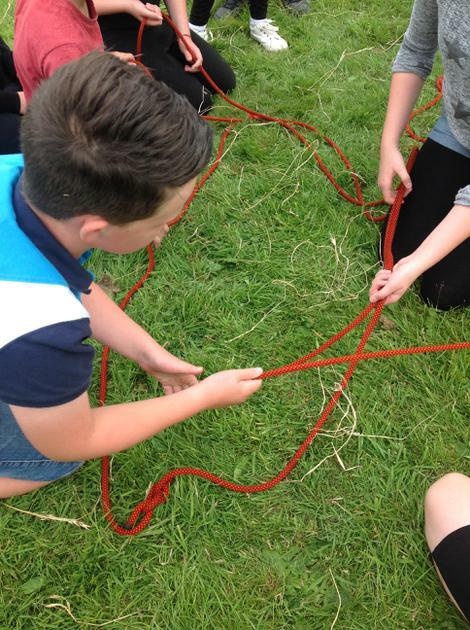 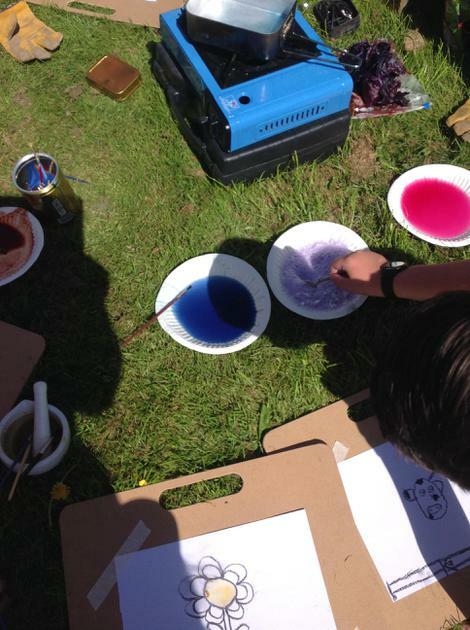 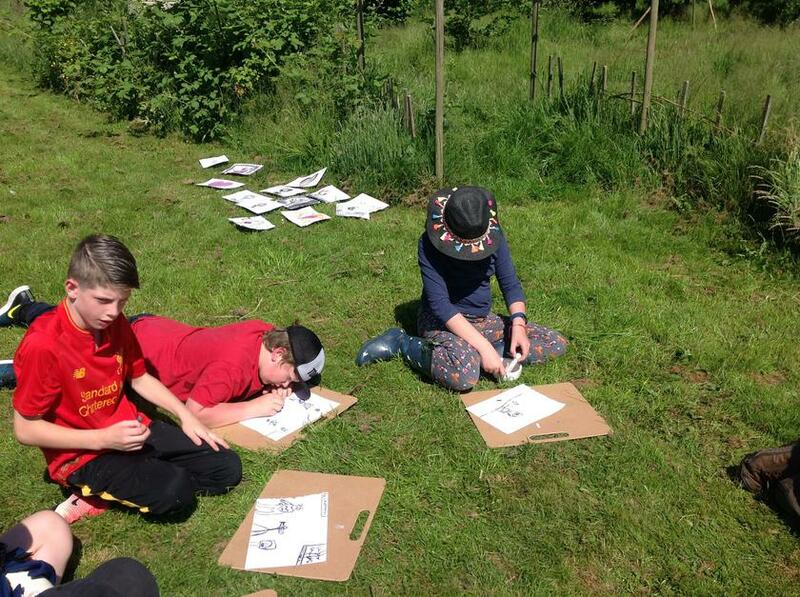 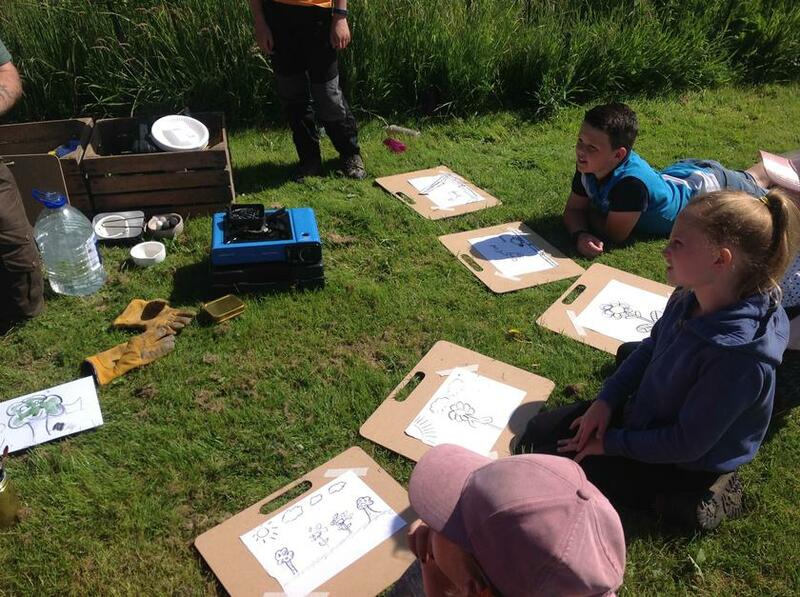 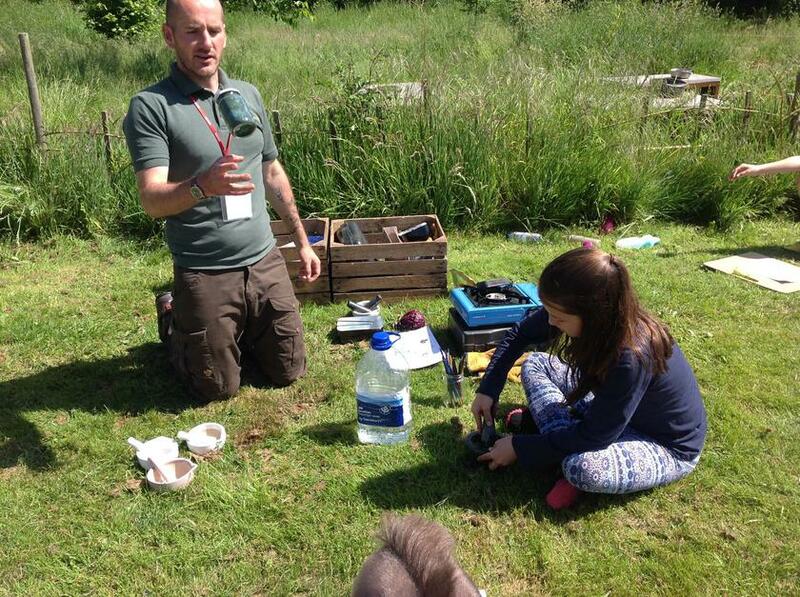 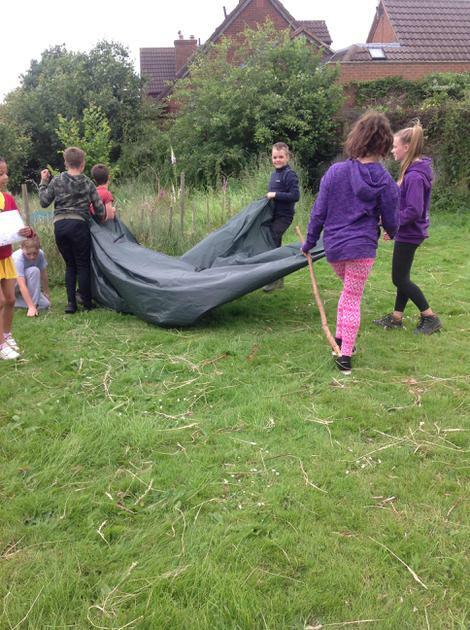 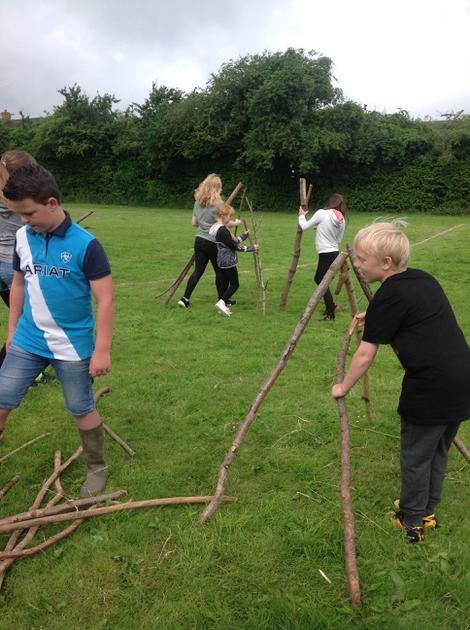 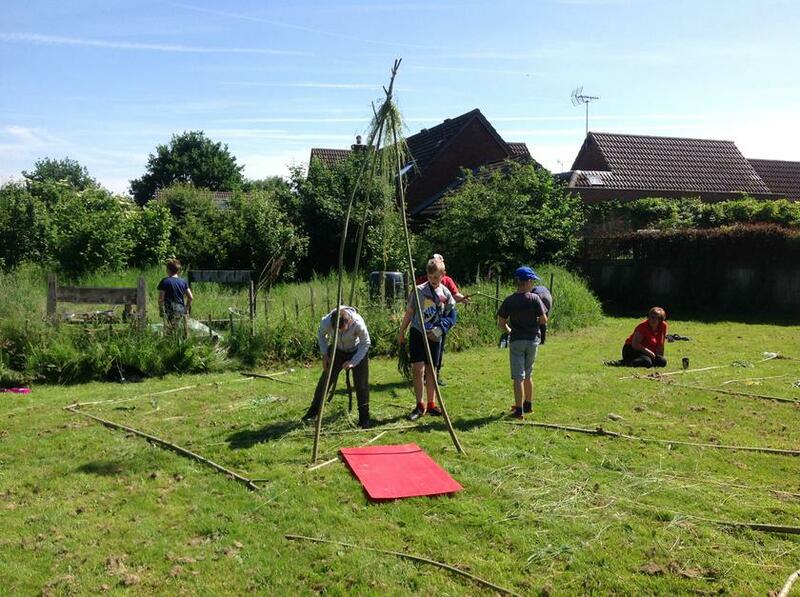 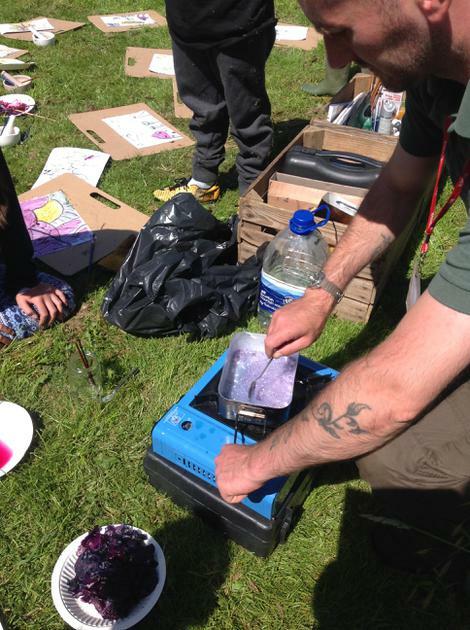 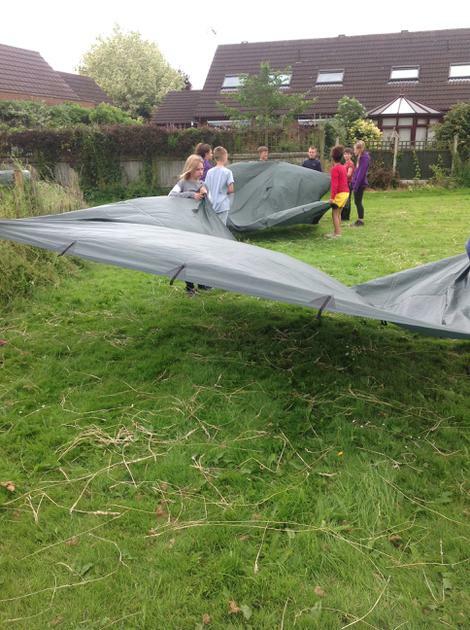 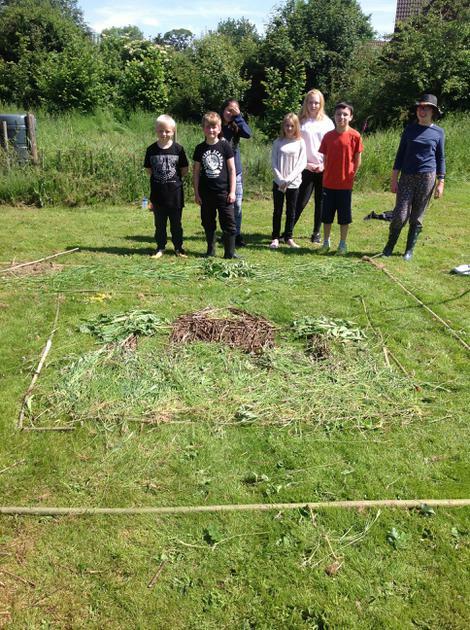 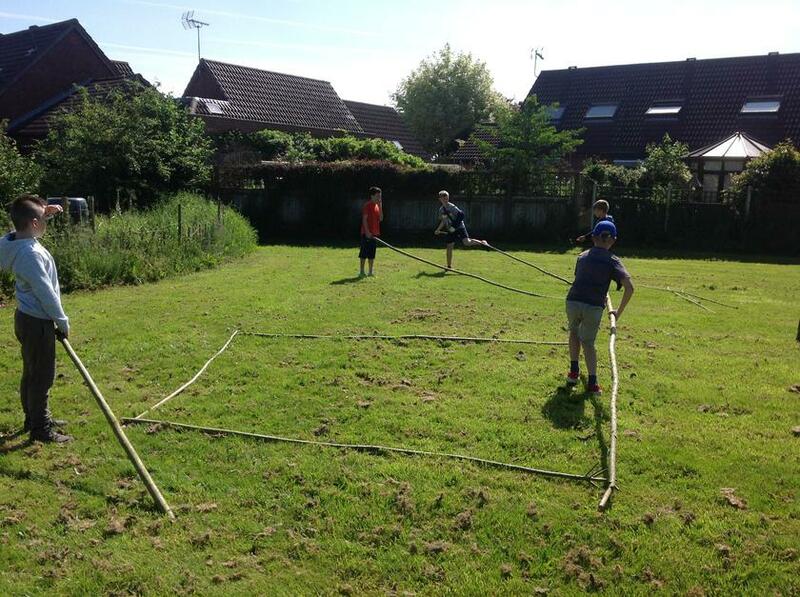 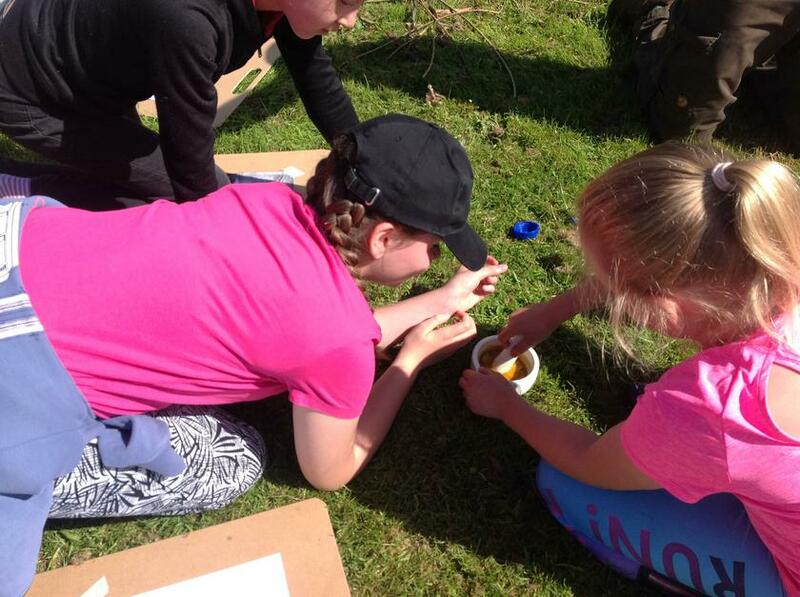 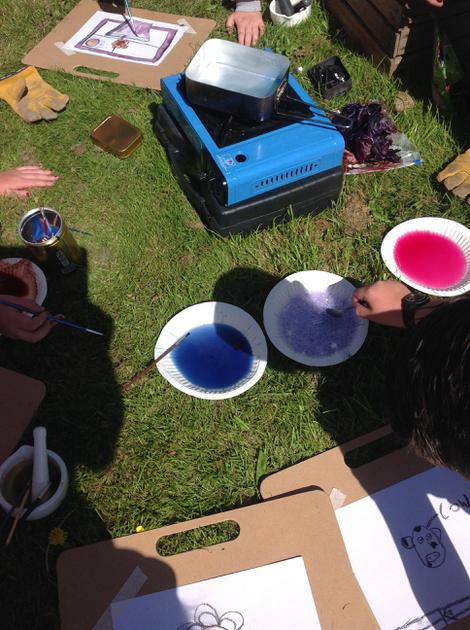 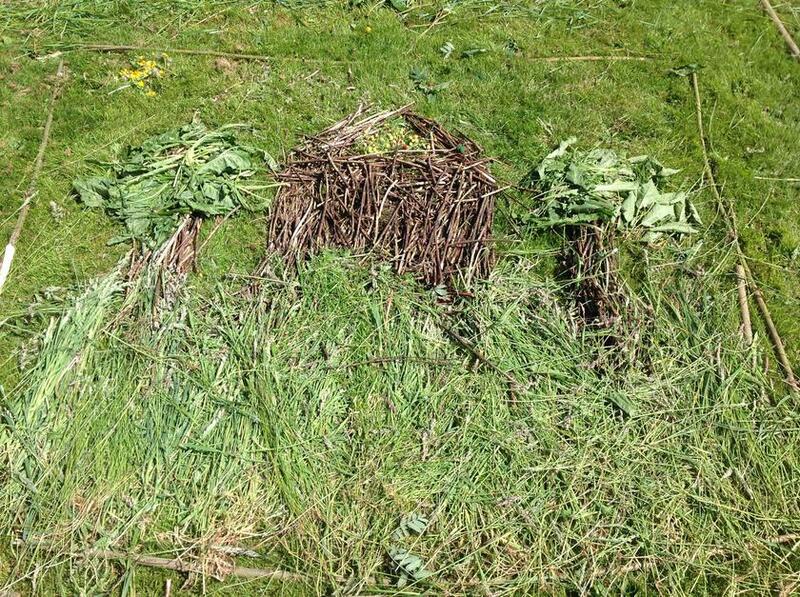 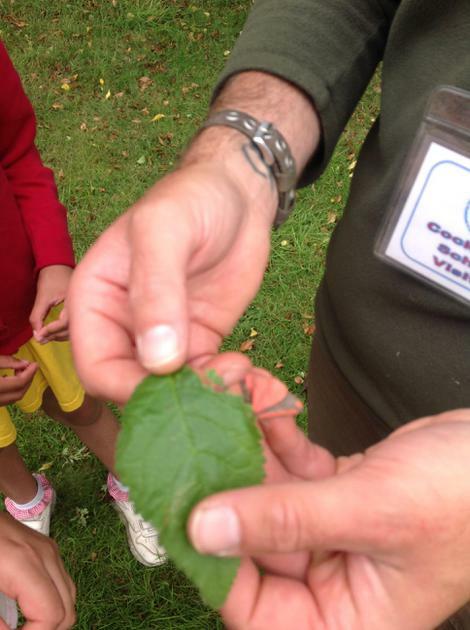 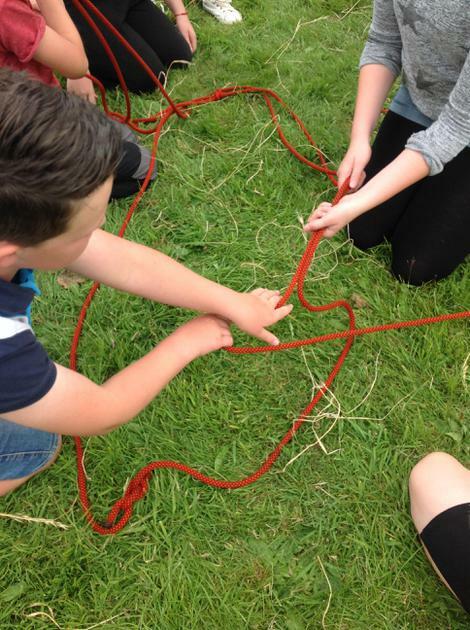 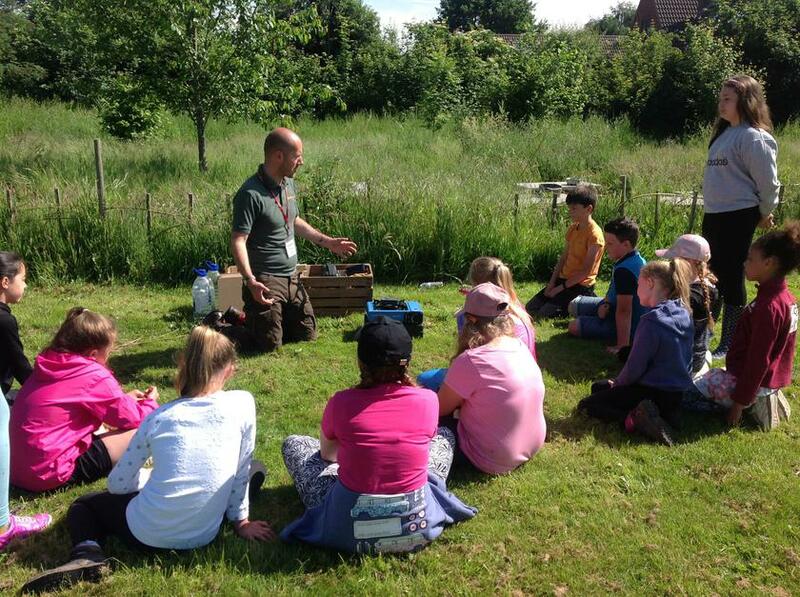 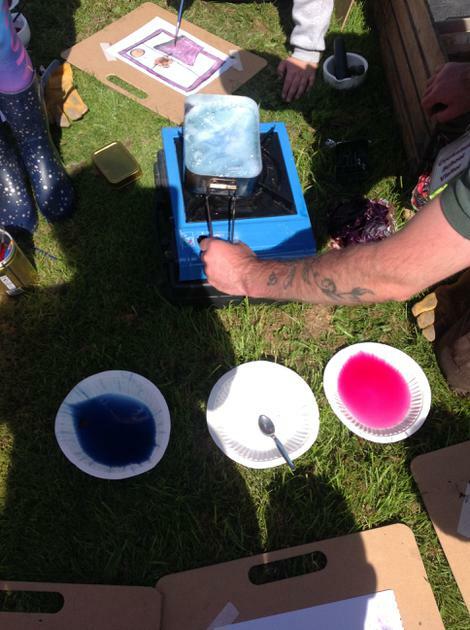 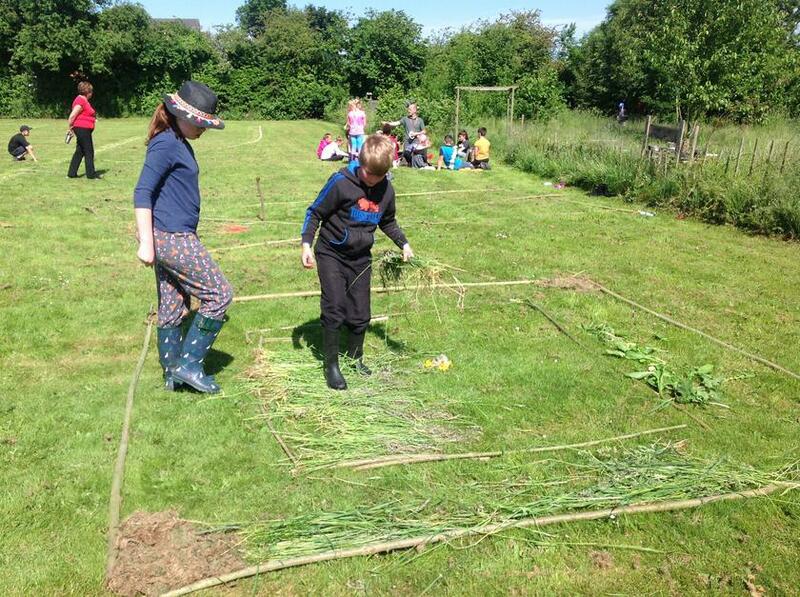 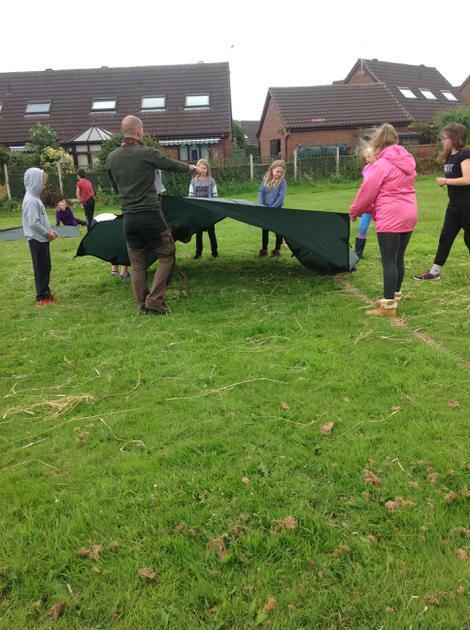 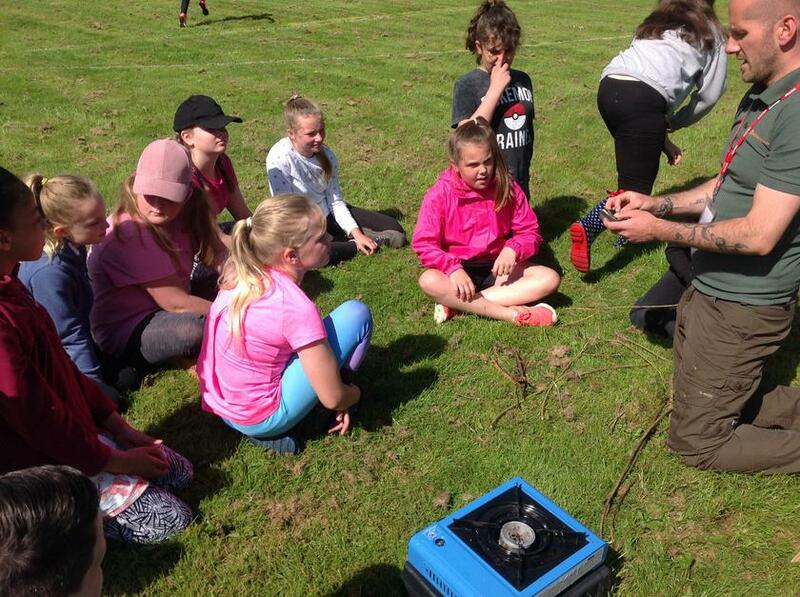 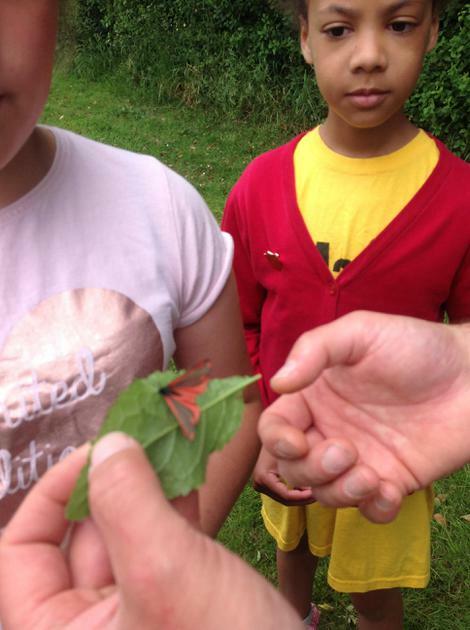 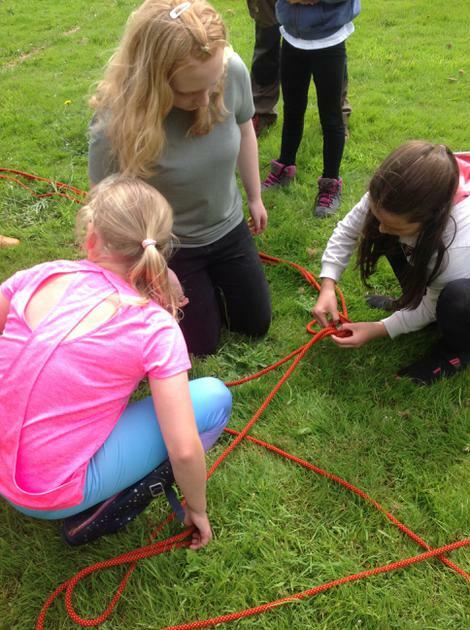 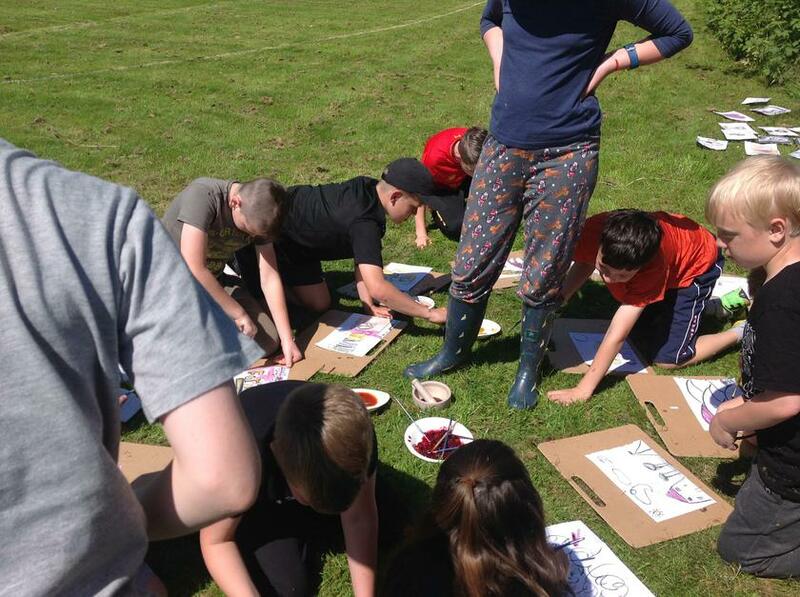 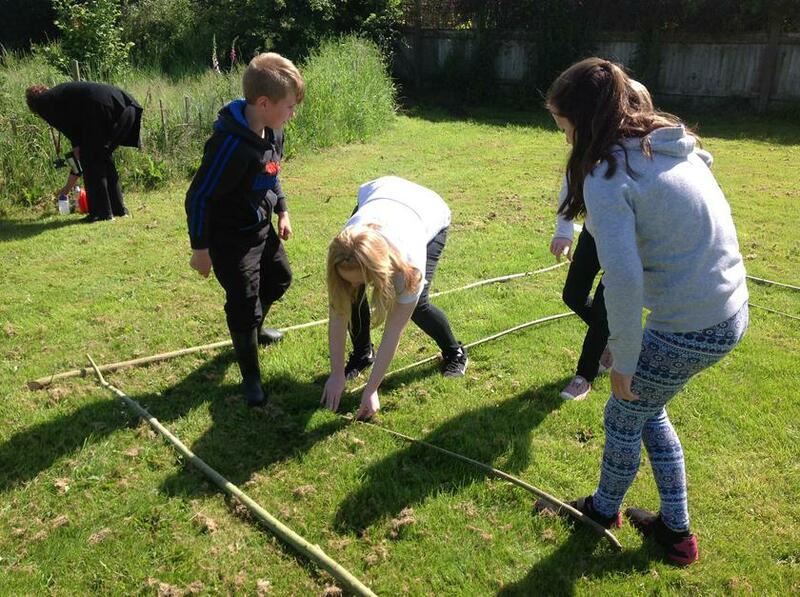 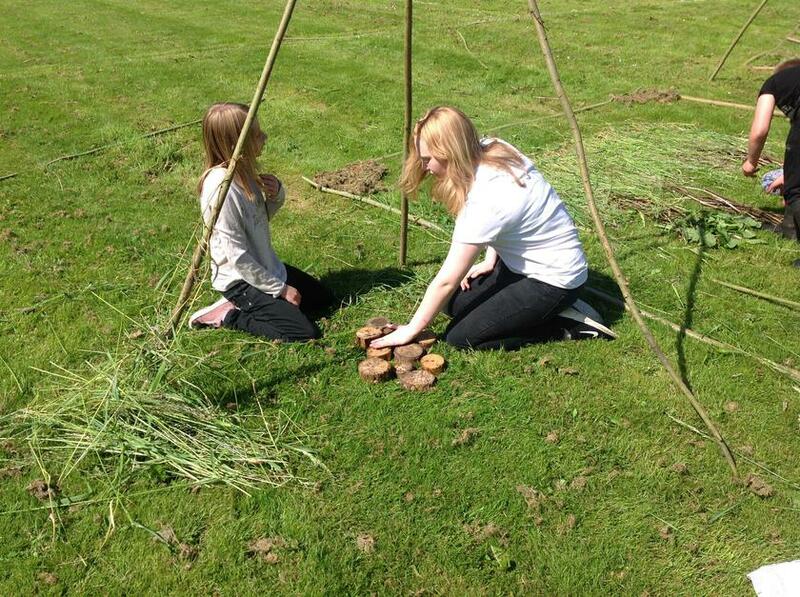 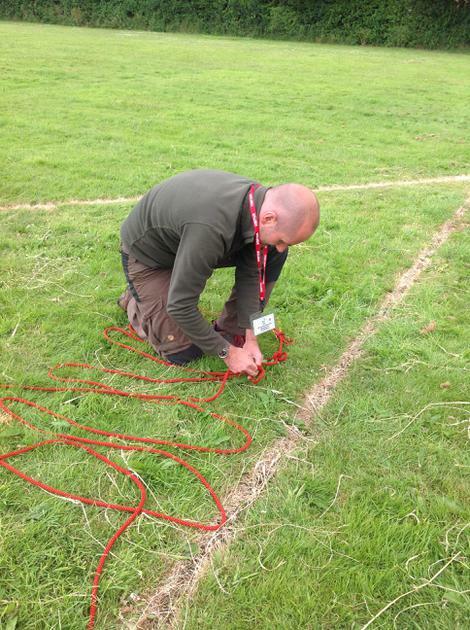 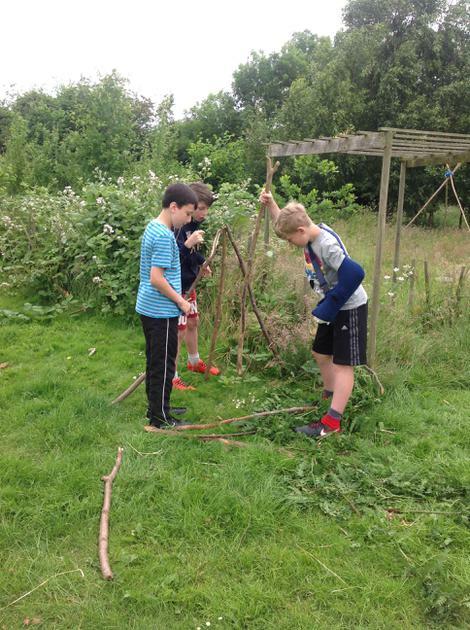 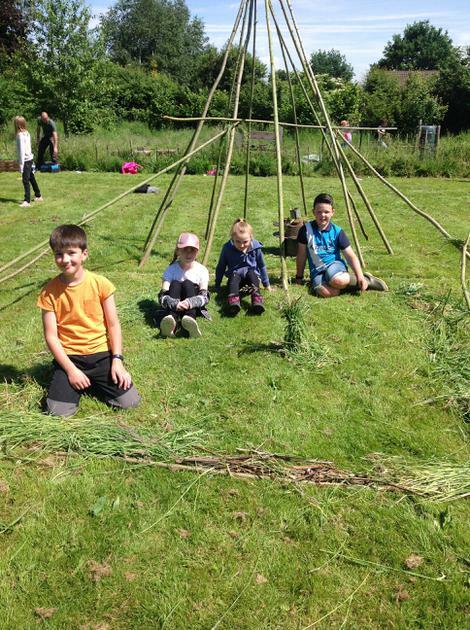 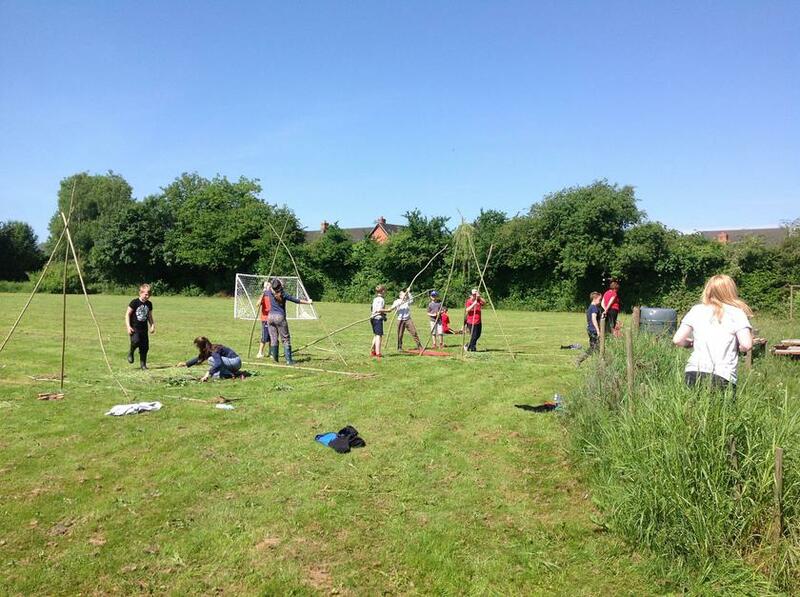 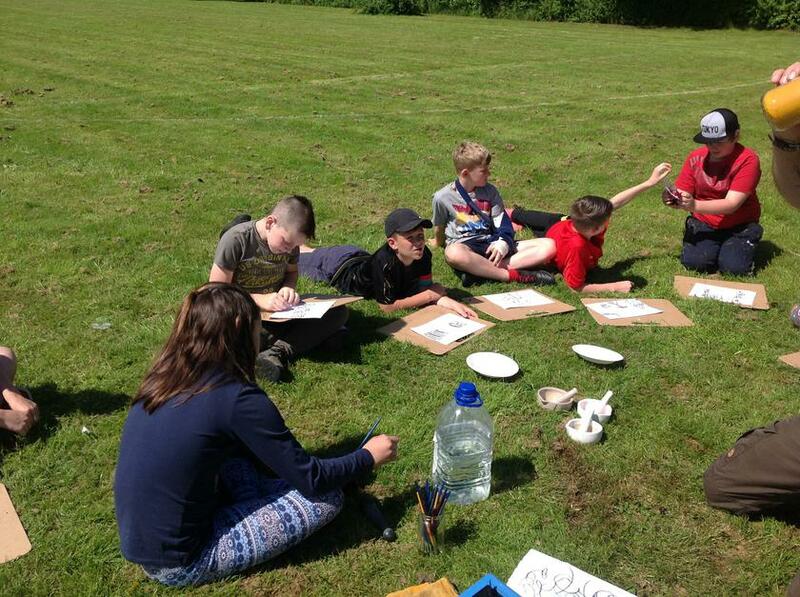 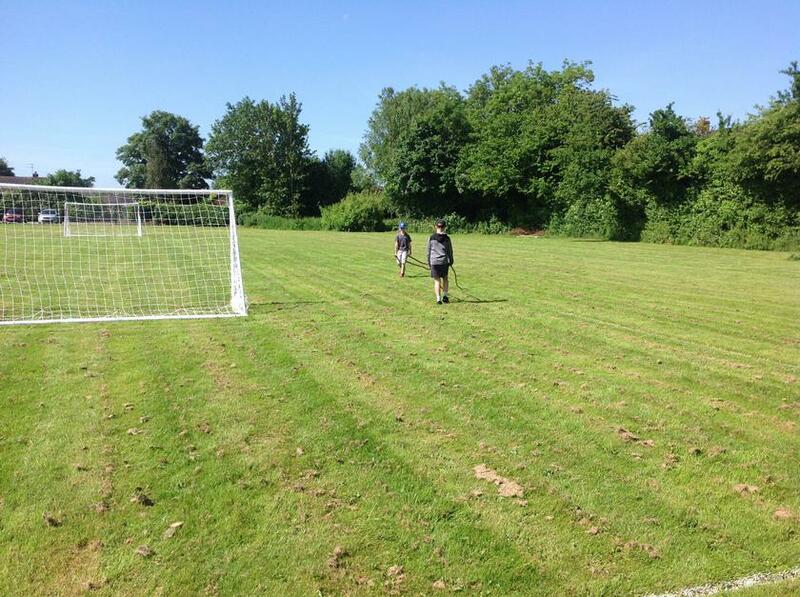 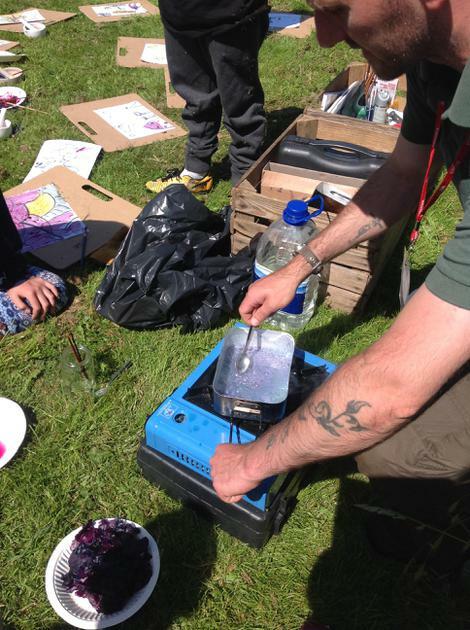 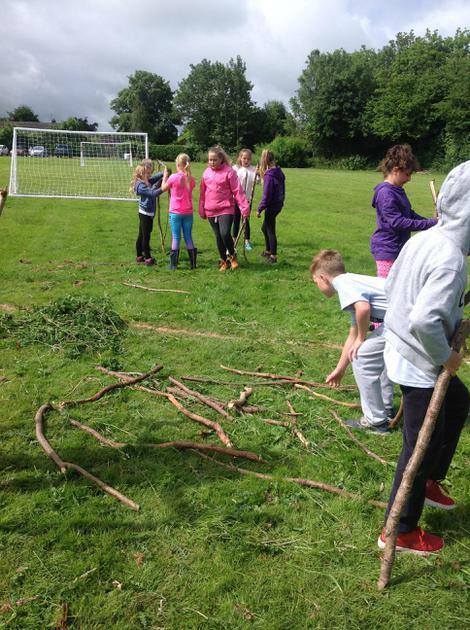 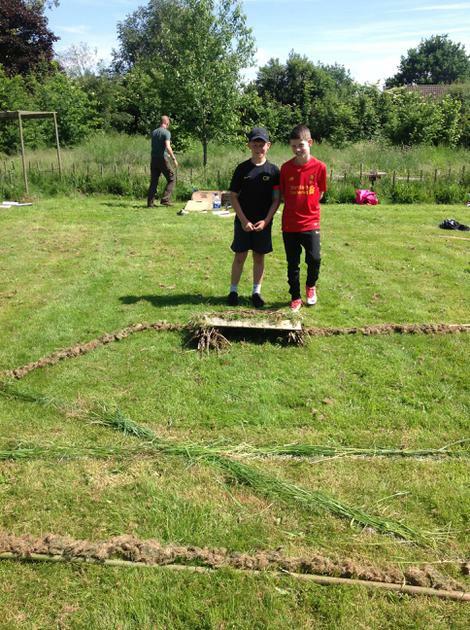 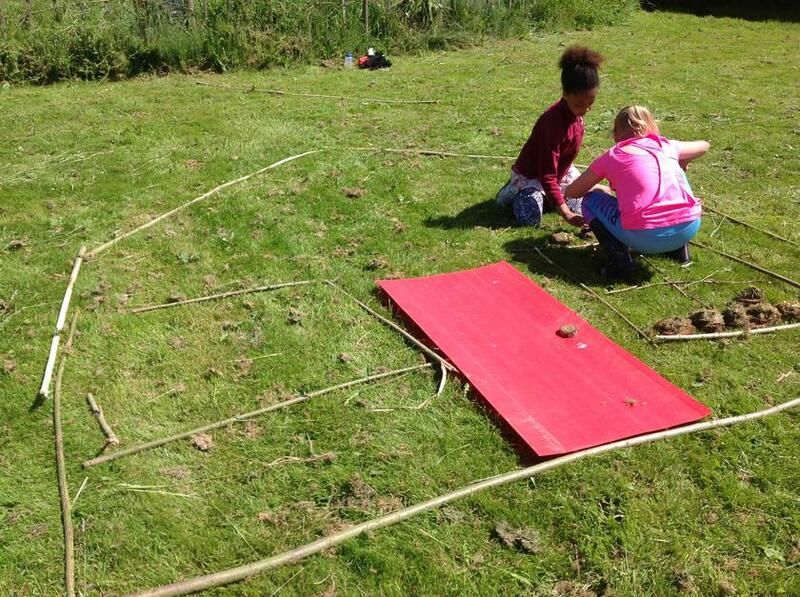 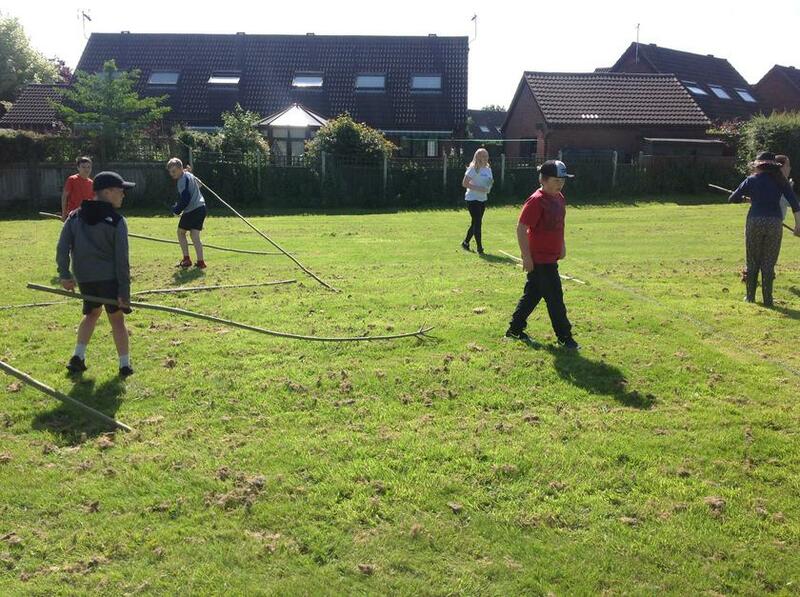 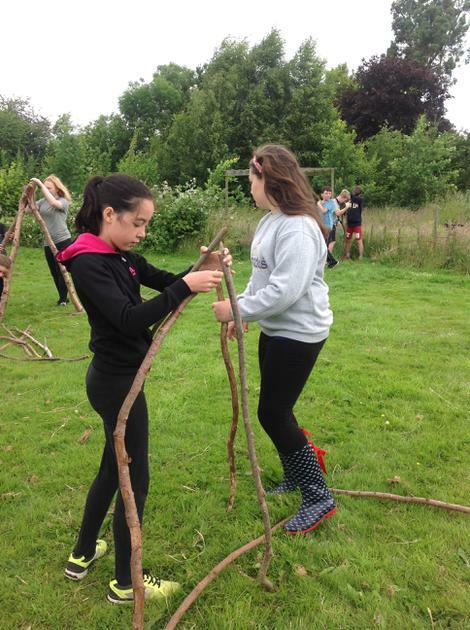 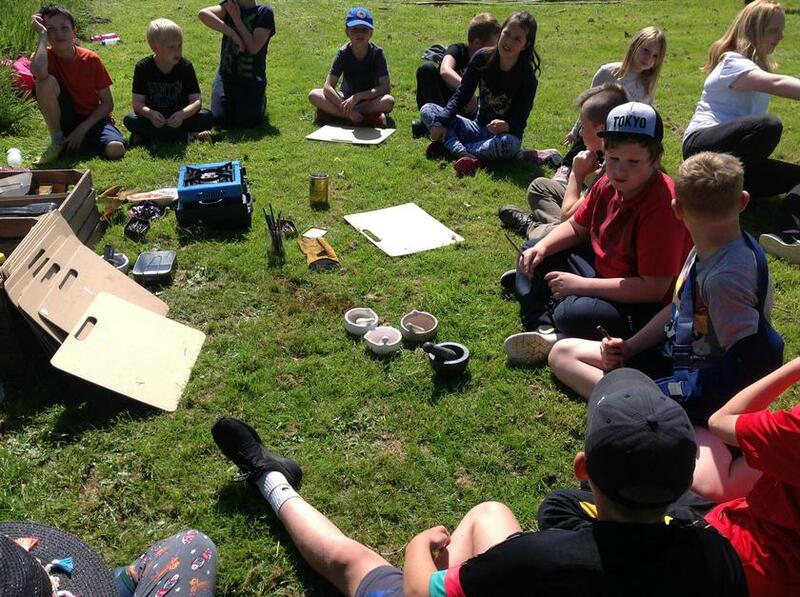 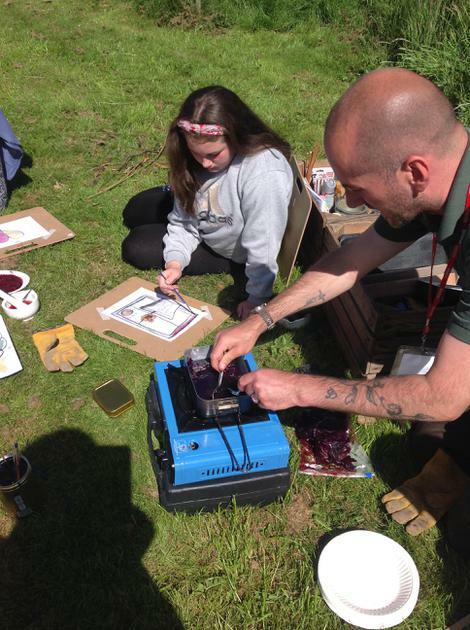 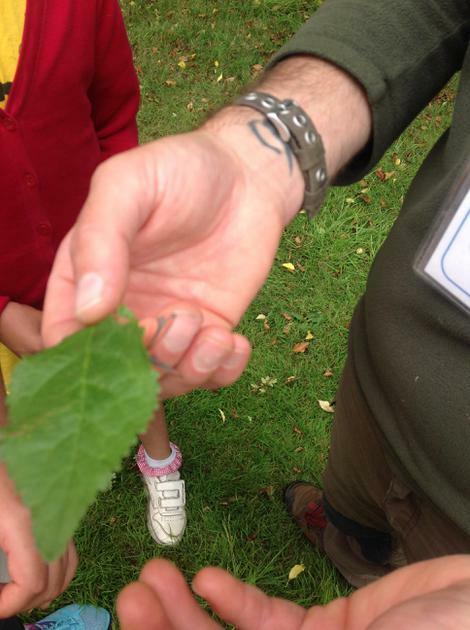 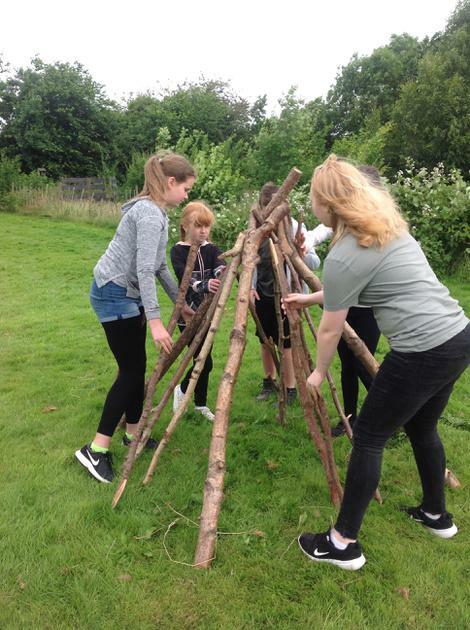 We are a rural community so exploring the outdoors is an extremely important part of our curriculum. 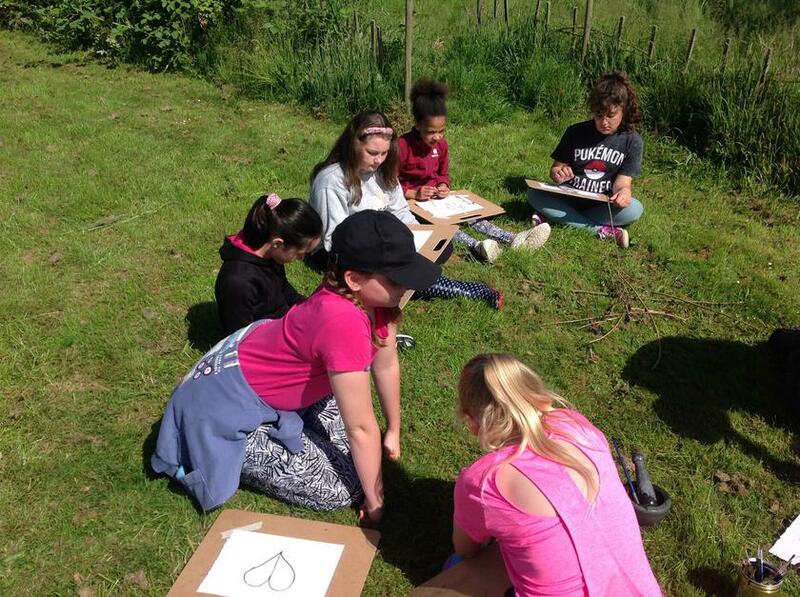 Pupils learn to take risks, to work as a team, to appreciate our wonderful world and make the most our area. 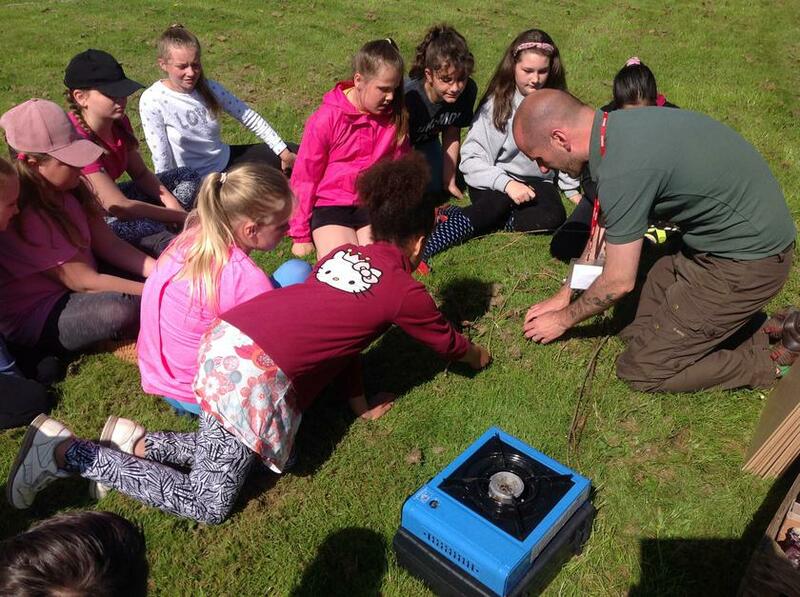 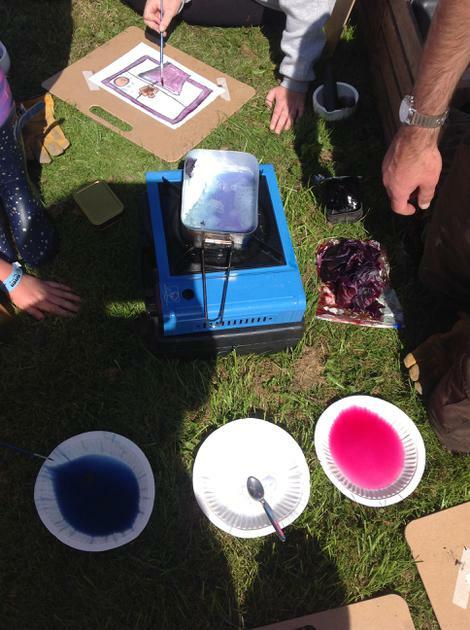 The seasonal change aspect of science is taught through Forest School and the opportunities for learning are limitless outdoors. 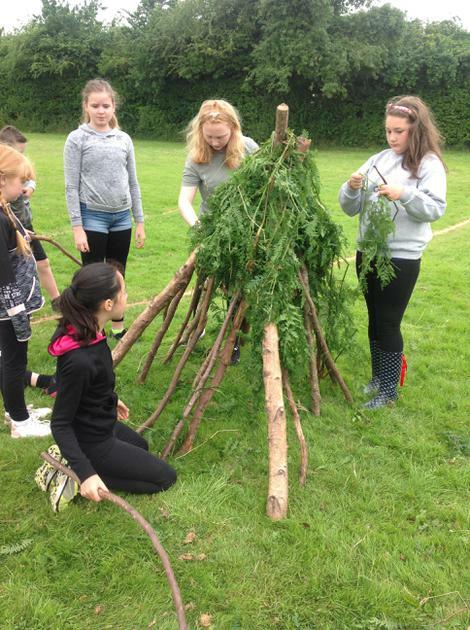 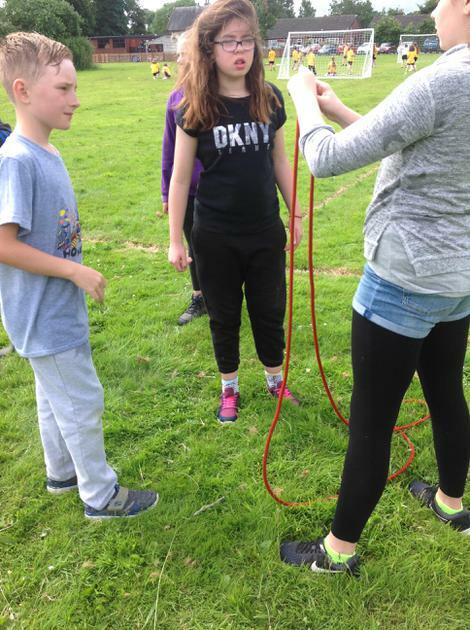 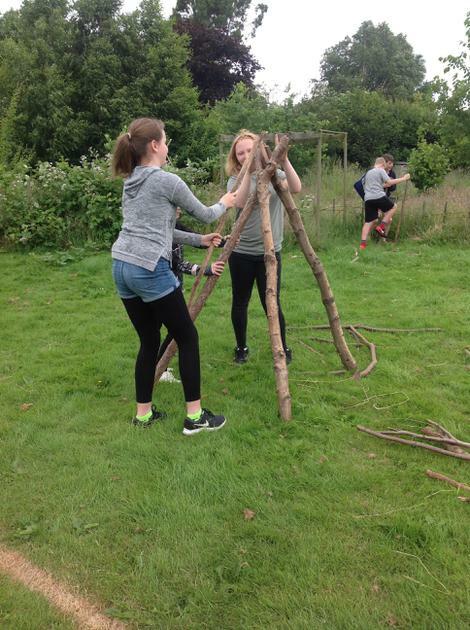 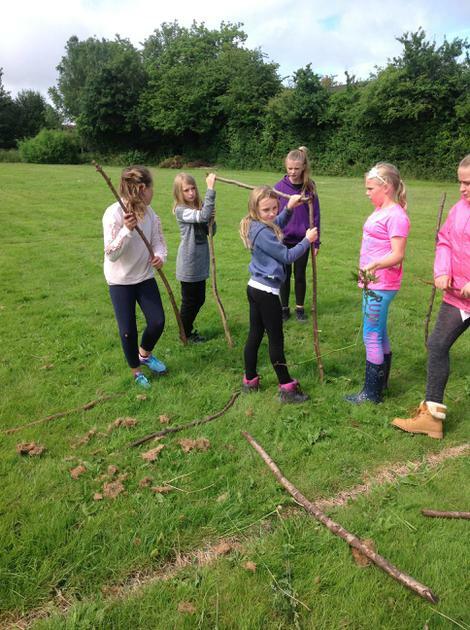 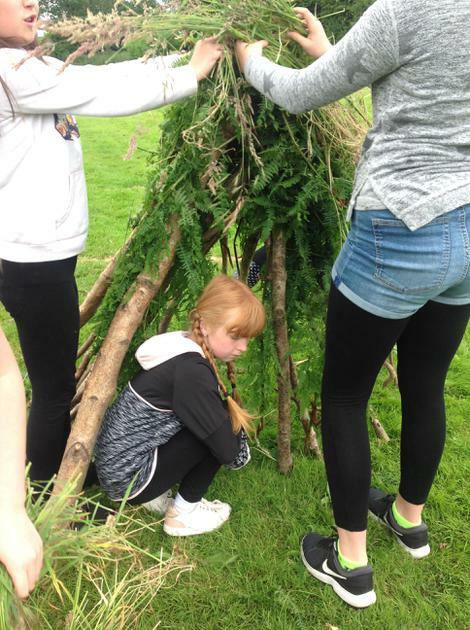 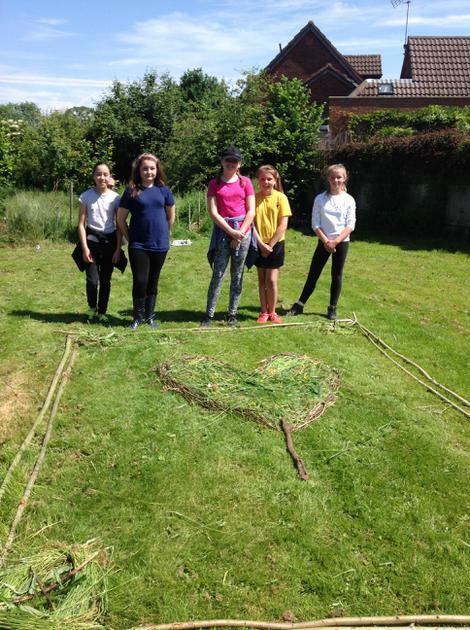 Health and well-being is an essential part of our school ethos, we believe pupils benefit from the outdoors in all seasons, this also enhances pupils attitudes to learning in the classroom. 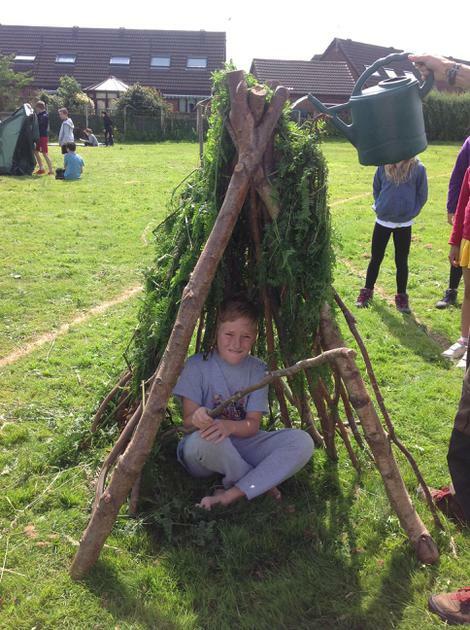 Please browse the pictures to see what our children have been doing. 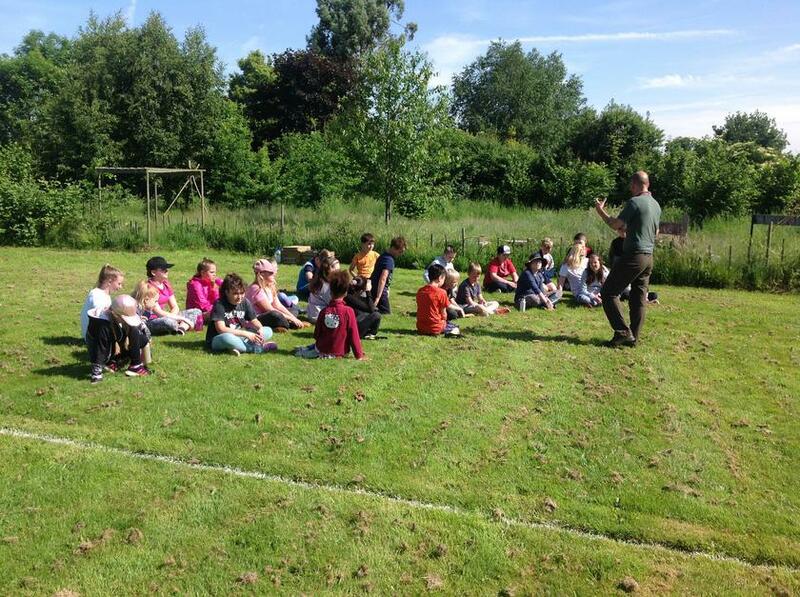 Oak class had a fantastic Forest school session with Ben. 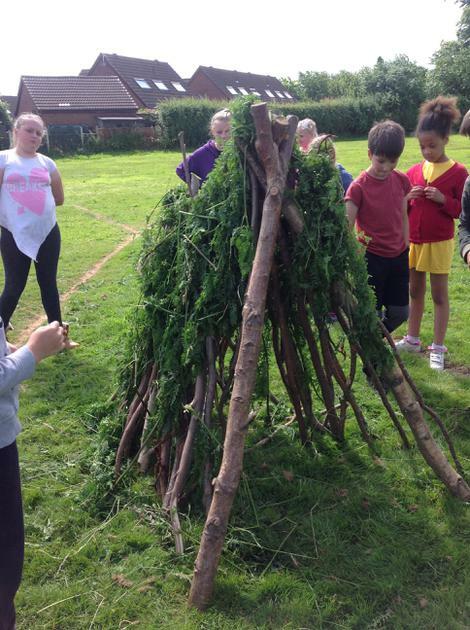 They used their creativity, imagination and lots of teamwork to create amazing pieces of art using materials from the environment.